Garlands are a super easy choice for Destination Weddings because they are lightweight and easy to transport. A simple chic garland will dress up any space and is perfect for either wedding ceremony, welcome cocktail reception, or rehearsal dinner. 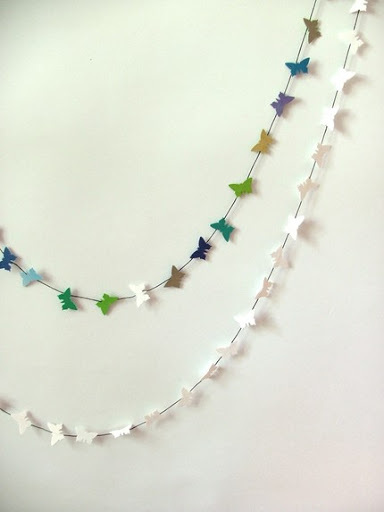 I love these cute butterfly garlands from LePtitPapillon on Etsy. Get Excited about Hacienda Tres Rios!